How do you tour South Africa on a budget? Get a van and hit the road! That's what we did. We discovered that Vanlife is not yet a "thing" in Africa. We learned a few lessons along the way, and have some advice for people considering to give it a shot. It is a great way to explore this unique country and learn about its people! South Africans tour and camp a little differently. We think they are missing out on the flexibility of our preferred mode of travel. We set out to explore why it hasn't caught on yet, and how best it can be done on the fly in Africa. Maybe we can introduce them to it? We started our journey by getting the necessary gear. 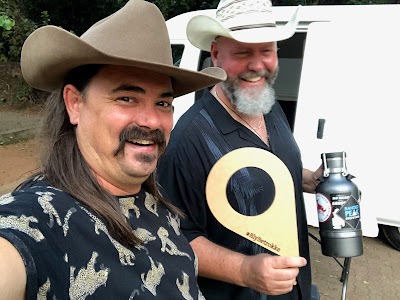 It put us on the road for our first episode of our TWO COWBOYS' EPIC GLOBAL TRAVEL & CULINARY EXPERIENCE - 2019! 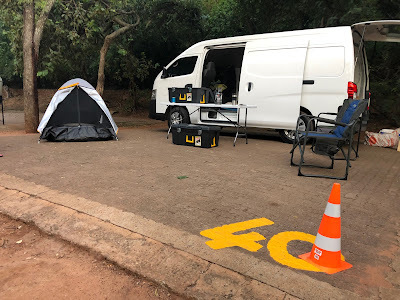 If you are an international tourist used to RVing, then you will be glad to know that you can rent a more common motorhome or an adventurous offroad 4X4 bakkie (mini-truck/ute with a roof tent). A more affordable option is to rent a vehicle and a little mini "offroad" tent trailer. The trailer comes equipped with a roof tent, shade tent, shower tent, sleep tent, another tent, more tents, power options, water tanks, and a little pullout kitchen (We are not a fan - too many tents. More about that later). All these options are familiar, well equipped, but quite expensive, clumsy, and a risky way for the uninitiated to undertake a journey in Southern Africa. Like other destinations, there are also risks in Africa. People don't usually appreciate what African risk means when they land from another country. The roads are a concern with potholes (very deep potholes), stray animals, and a general lack of maintenance. The 4X4 option may give you a (false) sense that you can venture into the wild. In Africa, even something as simple as a tree thorn can puncture a tyre, and a pothole can separate your wheel from its axel. There are also wild animals, dangerous insects and snakes that are always looking for a meal, entertainment, or a new home. Then there is the driving. Italy cannot compare to South African impatience, breakneck speeds, and general disregard for courtesy, and constant violation of the road rules. Mexico is chaotic but courteous. Driving in Africa is merely nasty. A typical Class-C motorhome is clumsy to operate and difficult to park in most South African towns and cities. Class-A's don't even exist here. The pothole-strewn roads are not kind to these types of vehicles, and you cannot fit them into the available camping spots, anyway. Security is an omnipresent affair everywhere in Africa. Camping or overnight options are limited to secure campgrounds (caravan parks) and National/Provincial Nature Parks and Reserves. That is why the preferred way to tour and camp in South Africa is with a "caravan" (travel trailer) and lots of tents attached to the outside. 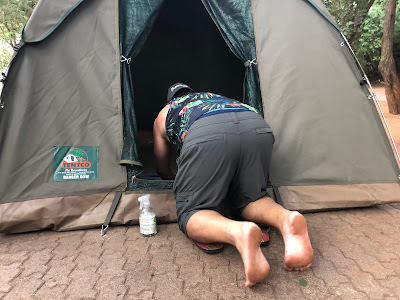 People head to "resorts" over weekends and holidays, spend half a day setting up, two or more nights enjoying the facilities, and another full day breaking camp, cleaning, packing away and heading home. Most touring and camping trips are extended stays at well equipped, safe (however, not always that affordable) resorts. If you talk about a van in Southern Africa, people associate it with the notorious minibus taxis. The little Toyota HiAce van transports Africa! It is the African version of highly efficient and affordable public transport. Larger versions like Sprinter, Iveco and Ford Transits are used for the same purpose on longer journeys. You can use your overseas license to rent and drive the smaller cargo vans. We rented a Nissan from Thrifty Car Hire for our first leg of our journey. The larger vans require a special "heavy-vehicle" license that is different from the standard motor vehicle license issued overseas and therefore put these vehicles out of reach of tourist. Some folks already realized the potential of the omnipresent minibusses to be converted into living accommodations and camping solutions. However, you are unlikely to encounter any on the road. It is too foreign to the South African wat of touring and camping. It is a pity because Africa has the ideal weather for it. Weather insulation is the single most significant and most costly challenge (next to power) in North America. In Southern Africa, like Australia, Mexico and New Zealand, it is the least of your concerns because almost every day is a perfect weather day. For the budget conscious there are well-stocked camping stores like Camp and Climb and Outdoor Warehouse that carry all the usual supplies. Here you can find your sleeping bag, tables and chairs, mattresses, cooling boxes, portable fridges, cooking utensils and water tanks. There are also several local and European-sourced fit-outs available for a more luxurious build of a van with a bed, water, storage, shade and power options. There are more elaborate fit-out operations that will help you make the conversion a bit more permanent and the stay more comfortable if you have your own vehicle. We will be exploring some of these options in subsequent episodes. 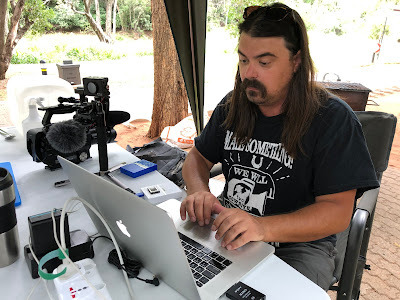 The main challenges for Vanlife in Africa are ventilation, insect control (mosquitoes!!) and where to park. We have solutions for these, we think. Stay tuned for advice and more about the lessons we've learned. There are lots of opportunity for Vanlife in Africa. 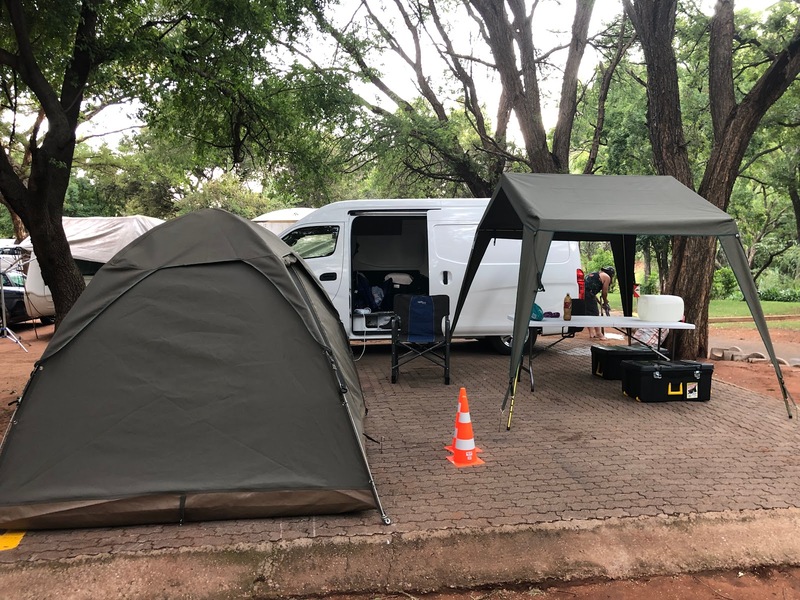 Vanlife is not yet a thing in South Africa. It is virgin-territory, and for us, it has been an excellent adventure. It is also an economical way to travel and see a fantastic country. You can easily equip yourself inexpensively with the required necessities before hitting the road. Add it to your bucket list. It is something you have to try at least once. Six Surefire Ways to Fail in Business, Guaranteed! We broke a record. The Two Cowboys published more than 400 video features of small businesses and communities since our inception in January 2016. Our non-branded content alone included a further 437 productions we did for our partners and for various Business Excellence Awards. For a total of around 837 productions, we've met, interviewed and filmed more than 3,000 people in three years! We did it in Canada, USA, Mexico, New Zealand and in South Africa. We also added France and Italy to our travels in 2018. How's that for being busy? In three short years, we've seen and heard more about businesses than most people do in a lifetime. We thought we knew a lot after University, 25 years of management consulting and years in television production. Instead, we learned a lot more from these business owners in a very short time that we ever imagined. We now also know a lot more about them. Some of the businesses we met were, and still are, wildly successful. Unfortunately, the majority were not, and probably never will be. We came to the realization, when we looked through the lenses of our cameras (cameras rarely lie) and listened to the conversations we recorded, that the majority of those that are not successful face a single, but a major stumbling block. It doesn't matter where the business is. They all have one infliction. They have a confidence problem! Because they lack confidence, they fear and some even avoid being successful. Entrepreneurs and business owners lack confidence because they have no idea what is supposed to make them succeed in the first place. To illustrate the point. Here is a statement from one ignorant, cocky, small, hot sauce business owner, somewhere in the woods of Vancouver Island. "We'll contact you if we ever consider paying for publicity!" Our reply, "Please don't. We'd rather be contacted by someone that understands that publicity is what makes businesses and brands, even commodity hot sauce brands like yours, succeed. It makes businesses go national and global. Heaven forbid that someone actually finds out about your sauce. You may just be forced to deal with success!" The point is that even if you don't have an interest in the Two Cowboys telling your story, a business owner should grab every opportunity possible to promote and get positive publicity for their product and brand. There are many things you can do to grow your enterprise. The most simple is to simply get out of the way of your success. There are countless sources of entrepreneurial advice available in books and online. You don't have to do an MBA. It is all available by tapping a screen and clicking a button. Every second "consultant" and "authoritative" online page carries the keys to the castle. 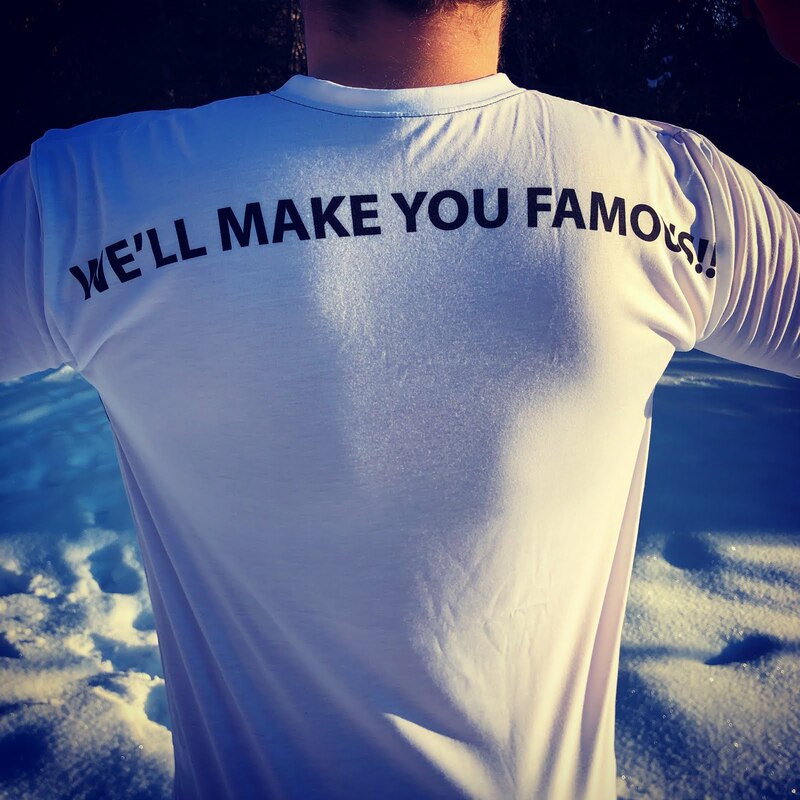 They can give you the 8 steps to entrepreneurial success, 5 ways to make a million, 7 keys to marketing success, or 10 ways to a six-figure income with your laptop on the beach. Don't forget email marketing and there is an app for that! I don't have to point out that most of this advice come from snake oil salesmen, nobodies and wannabes. Instead of listing another 5, 8 or even a 100 ways to make it in business, I thought of highlighting the five surefire ways we've gleaned through our observation and experience of how to assure failure. Avoid these mistakes and you are likely to stumble upon the right things to do, by accident. Business is not supposed to be hard. It is not something you have to go and do under duress. What you do in your business should be natural and align with who you are. If it fits, it is bound to have spontaneous progression and evolution. If it doesn't work, make something else. The same applies to a service business. It is even simpler. If it doesn't work, do something else. Here are some surefire ways to fail in business. WASTE TIME: Procrastinate. Try to please others with a product or service you don't care for and that you don't really value. Do meaningless work that keeps you busy and pays the bills. The outcome will at best be mediocre and you are likely to hate every minute you are involved with it. Waste as much time as possible by delaying decisions. Go to the toilet often. Check your social media. Have meetings after meeting with your team. Collect your salary. Go on vacation. Have a hobby. The more you waste time, the less you will have to actually do. SHUN CONTACT: Heaven forbid that people should actually make contact with you about your product or service. Avoid customer contact at all cost. Don't answer your phone. Don't return messages or that email. Don't listen to people. Don't appear on your shop floor and don't interact with your staff. Please don't answer questions or entertain proposals. Make sure your website doesn't have an address, phone number or email address. If you are really serious about shunning contact then get yourself a receptionist, a call centre in India, a personal assistant, PR Firm, appoint a marketing person, and get a social media handler. They will make sure no one can get hold of you. Be very important. Have many titles. Customers won't buy from you and suppliers won't be able to offer you any help. If you cannot be reached, then people won't want something from you. AVOID EXPOSURE: Keep yourself a mystery. Hide! Avoid publicity. Don't have a proper website, or don't have one at all. Tell as little as possible about your product or service. Consider social media evil. Don't go near it. Never have a page on Facebook, Instagram or Twitter. Don't do any marketing or promotions. Avoid all forms of advertising. Remove your business listing from Google and maps. Take your shop's sign down. Don't put your business name on your vehicle. Throw away your business cards. Avoid telling your customers how to use your products and the benefits of your service. Remember, the less exposure you have the more likely no one will bother you. SKIRT FEEDBACK: Customer reviews are evil. Don't encourage reviews. Take down your Google reviews and disable your Facebook feedback button. Don't ask customers what you can do to make their product or experience better. If they do offer feedback deride them. Make them feel insignificant. Be a victim. Don't respond. You won't have to learn and adjust your product or service and won't meet your customers' expectations. If you skirt feedback then the truth won't hurt you. AVOID SUCCESS: If you are unsuccessful you will have plenty to complain about. You won't make a difference in people's lives. If you avoid success, people won't care. If you are successful more people will want something from you and bother you often. With success, you may turn a profit and will have to pay more taxes and employ more people. By avoiding success you can have your predictable life. You won't be faced with challenges. You can blame your circumstances and your failure on someone and something else. Our business is a simple business. We love researching, investigating, learning, meeting interesting people, filming and telling stories about the things and places that interest us. The things we value is good food, inspiring people, innovative products and businesses, great beer, and the freedom to travel and work all over the world. We tell these stories in the best way we can through video, photography and writing in our Blog. We feel the world needs more fun and inspiration. We hope to give that to our audience. Our audience enjoys watching our programming and armchair travelling with us. Our programming is insightful, informative and entertaining. The people, businesses and places we feature garner publicity through our content. They win over new customers. More people learn about them and is likely to deal or visit them. It becomes a channel with much-needed positive exposure for their brands. We are constantly looking for new stories and bigger partners to feature. We produce as much content as we can and feature as many people, businesses and places as is willing to engage us. We package our content around topics and themes. One theme we love to exploit is a maker theme where we feature people that create and make products. We have several food and cooking themes. We have a travel and camping theme. 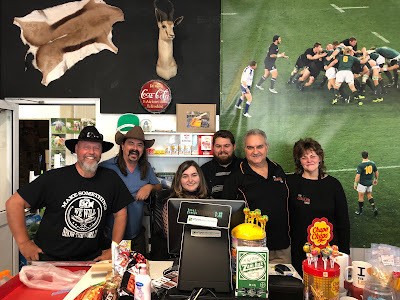 Overall, the Two Cowboys is an entertaining lifestyle content brand that we live every day and where we invite others to join us on our journey. Our pricing models make it possible for the smallest business to afford to be featured by the Cowboys and for some of the largest partners to have constant access to fresh and informative highly professionally produced promotional content. At the same time, our audience can access our materials online for free so that we can reach the broadest audience possible. 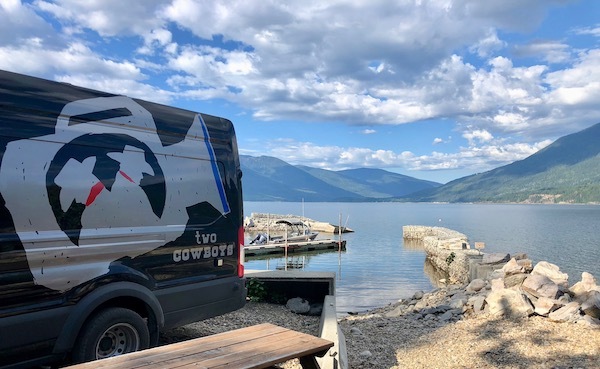 Our business and our brand keeps growing even in the most difficult economic times in Canada's recent memory. Where businesses realize the power of our promotional capabilities they engage us often and with great success. We love what we do and don't want to do anything else. Thank you for helping us succeed in our endeavour to show the world that it is a better place. Not One More Lousy Coffee, Please! When is a customer justified in refusing to pay for lousy coffee? It depends on how you define "bad" coffee, doesn't it? It also depends if you accept and drink it. We agree that the bill for a consumed coffee must be settled. However, we are firm in our opinion that a lousy coffee can, and should be sent back until it is right. Accepting a lousy coffee hurts an industry. See more Two Cowboys Coffee Content: Here. Coffee shops charge you before they serve you. Herein lies your opportunity. It gives you the chance to demand an acceptable beverage, or you get your money back. A shot of espresso can set you back as little as $1.50 and as much as $4.50. The same goes for a milk espresso drink like a cappuccino, flat-white, macchiato or latte. It too can come in as high as $3.50, and up to $6.50 at some "distinguished" establishments. If you bend over for a Starbucks, prepare to hurt even more. We once showed a coffee shop owner that we've spent upwards of $780/month with him and that it didn't even include the beans for the coffee we make at home. The Cowboys spend more on coffee in a month than we spend on beer. That is very concerning (and a topic for another time)! The point is that drinking coffee is expensive. Why then do we tolerate it when we are served an inferior beverage? We won't accept half a sandwich, a stale doughnut, or being served an overly salty muffin. We won't go back to a restaurant for a rubbery overdone steak and cold fries. Yet, establishments serve inferior espresso-based coffee drinks as a central feature or sideshow, and they get away with it. Even worse, some are offended when you call them out on it. People somehow accept the role of the espresso dice and console themselves with their fate when they are handed dark muck in a cup. "Maybe the Barista is having a bad day. Tomorrow it may be better. We'll try again later. It is the best you can get around here..."
It is time to call it, and we intend to do just that. Yes, we know that we are at risk of becoming very unpopular with some of the business owners on our travels. However, as we've mentioned before, we pay for our coffee. If we are paying for it, like every other customer, we have the right to have an opinion. 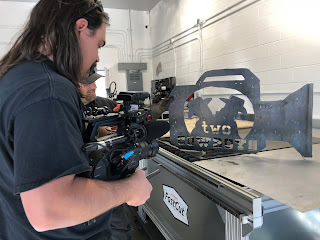 Even more so, because of what we do as the Two Cowboys, we have the intention to share our view with anyone that cares to read, watch and listen. This is a generous service to coffee lovers and the coffee serving establishment. We are gladly stepping up to provide transparency and clarity. As fellow baristas, prior coffee shop owners, dedicated coffee drinkers, and world-travellers, we intend to help coffee servers realize where they have room for improvement, and we hope to make the world a better place because of it. The World Speciality Coffee Association (SCA) sets the standards for coffee. Standards can be great tools for the coffee industry as they are trusted reference instruments established by knowledgeable subject-matter experts. It is a quantifiable and qualifiable measure, based upon scientific testing, which set values and/or ranges of values for coffee. The standards are the foundation of what is used in international barista competitions hosted by World Coffee Events at their very popular World Barista Championships. These competitions focus on promoting excellence in coffee, advancing the barista profession, and engaging worldwide audiences with a love for better coffee. Judges from around the world evaluate each performance on the taste of beverages served, cleanliness, creativity, technical skill, and overall presentation. Now, let's be realistic. Buying a beverage at your local coffee shop should not be a world championship judging event! 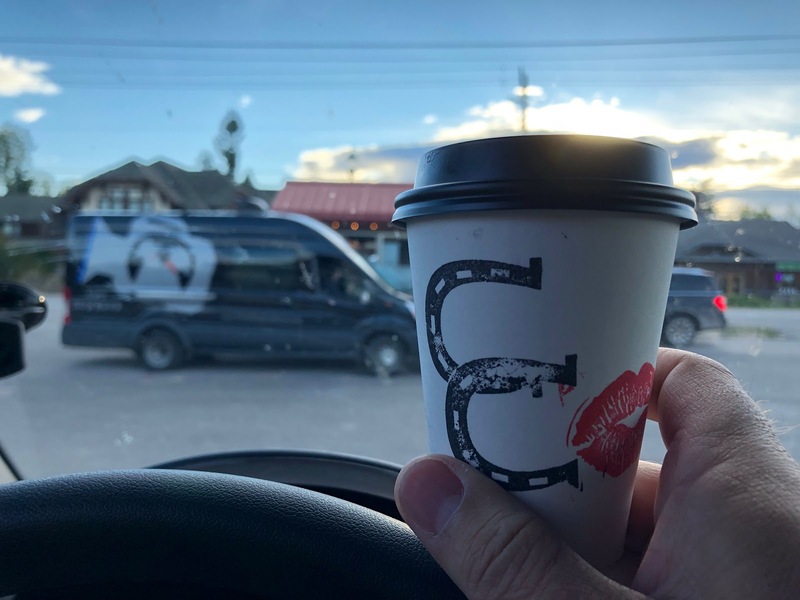 That is why we've lowered our standards to support our love of specialty coffees and helping fellow entrepreneurs that bravely venture to serve it to loyal patrons every day. 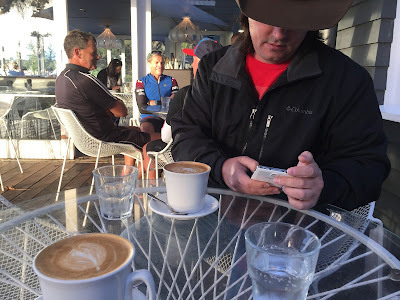 As far as we are concerned, there are mainly three important criteria that should be met for a Two Cowboys coffee to be an acceptable coffee (and not to be handed back for a redo). It should be well prepared, taste good, and be served in a customer friendly manner. Well Prepared: There is a whole raft of technical aspects that guide a well-prepared beverage. Bean quality and freshness, grinder setting, tamping, flushing, dosing, extraction time, and other elements all work together to produce a good coffee. Chief in these for us is the cleanliness of the preparation. Secondly, is the consistency of the beverages that are turned out. Can we trust not to get sick from a septic steam wand and expect the same consistently good coffee no matter who the barista is on any given day? 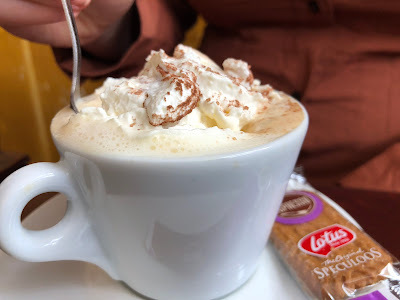 Taste Good: First of all, the coffee should be made correctly. 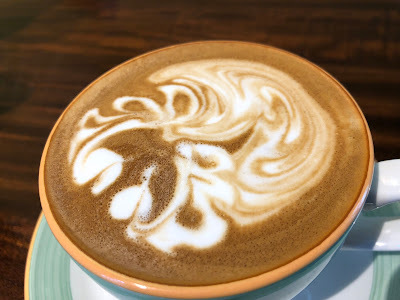 The barista should know the difference between a simple cappuccino, a flat-white, latte and a macchiato. If they are cross-eyed when we use words such as espresso, doppio or ristretto then they should not be on the machine. The coffee shot should have a nice dark rich crema and be well balanced between sweet, acidic and bitter. 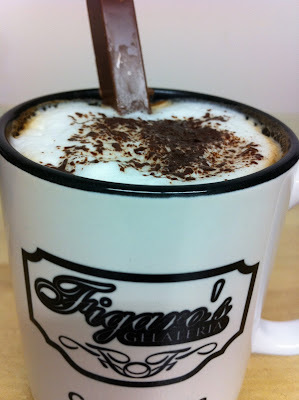 The milk should be rich and silky and the volume appropriately adjusted for the type of drink. Both should come together in balance and harmony. For heaven's sake, it should be served at the right temperature! Customer Service: Here is where many coffee serving establishments go to die. The barista's treatment of his or her patrons is as integral to the specialty coffee experience as is the beverage. If every establishment makes a reasonably good coffee, then the barista's energy and positivity differentiate mediocrity from excellence. Baristas, like barmen and barbers, have a very personal job. We've walked away from good coffee in the past because of a jackass barista, and we took our $780/month with us. We give all three of the above criteria an equal weighting. 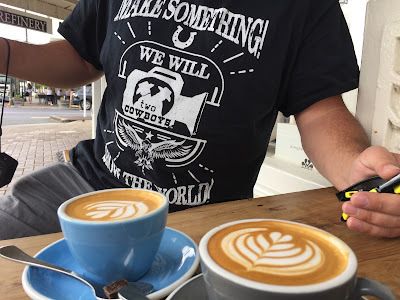 Call it the Two Cowboys - Three Stars Coffee Rating. Unfortunately, one miss can sink a coffee ship. 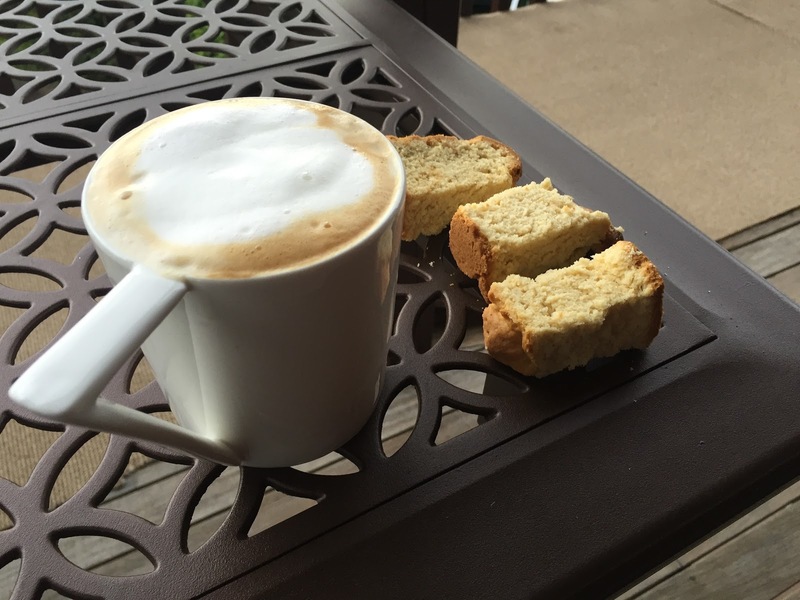 We realize that the specialty coffee business is a hard endeavour. From an outsider's perspective, the margins may look promising. However, with roughly $1 of profit in a cup of coffee a shop needs to push out at least 15 an hour just to cover minimum wage in most western countries. Coffee is expensive and a good espresso machine, more so. Baristas don't earn much either. Even if they make a good coffee, most baristas earn minimum wage, or slightly more. Our goal is not to give these businesses and dedicated folks a hard time. Instead, by shining a light on them, we hope to celebrate their successes and drive more patrons their way. We've already lost our butchers, bakers, dairies and our fresh produce grocers from our small towns. They've been replaced by large grocery chains. Our coffee is fast going the same route with a Starbucks and a Tim Hortons opening on every available downtown corner. Every second establishment now purports to be serving specialty coffee. Most of them serve lousy coffee. That is why it is even more critical to outdo the coffee making robots. Let's not be distracted by accepting lousy coffee. It hurts the few remaining dedicated espresso hole-in-the-walls that are doing a decent job. Support those instead, like we do! People that make things are good at what they do for two simple reasons. They like and value what they do, and they are continually working towards bettering it. We are makers because it feeds the single biggest survival instinct we developed as a species. Our oversized heads and brains are proof of our privilege and our affliction. Anyone with pre-frontal cortex will tell you, we are born to learn! 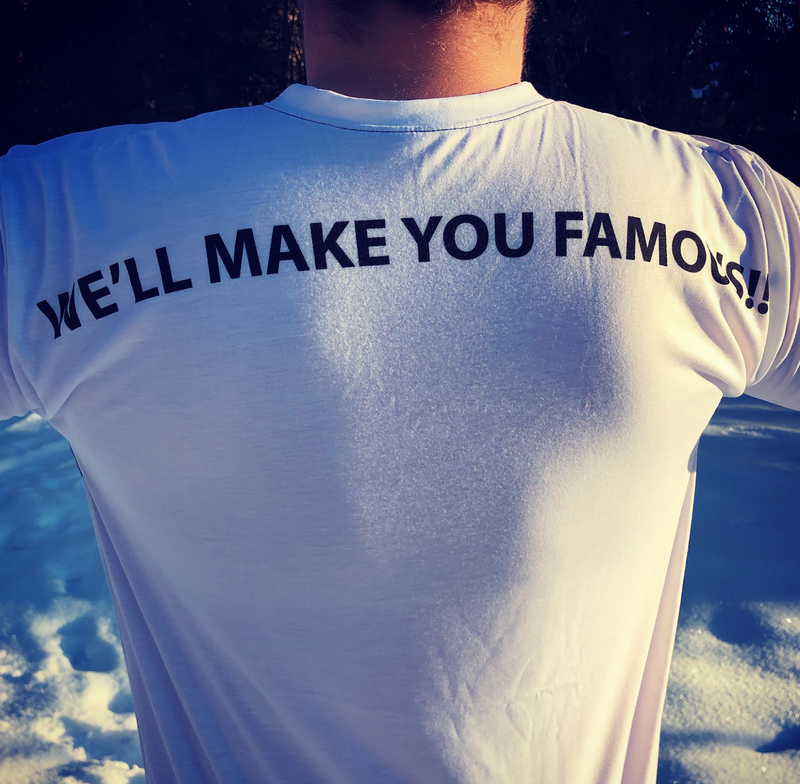 DO YOU WANT YOUR BUSINESS FEATURED? It is as universal as humanity on this little blue planet of ours. It doesn’t matter where you find people in the Tundra, deep Amazonian jungle, small Pacific Island or in London or New York. Everyone is driven by the need to keep our minds occupied. It is even estimated that our brains consume as much, or more than a third of our energy. We are learning machines. What we do with this drive distinguishes one person’s life from another. In pre-history, the ones that learned the fastest to gather food and avoid danger were the survivors. In modern history, the ones that are better adept at sourcing information, applying it, and relating to other members of a community, thrives more. We developed a considerable preoccupation with social engagement. It includes the elaborate rituals and rules that should provide relative harmony between ourselves and others in our group. How we relate to others also determines our standing. The better the reputation, the more fortuitous we tend to become amongst our peers. Our unique ability to better learn, adapt and organize, ultimately made us the dominant species on planet Earth. If we knew that every waking moment of our existence and the majority of our biology is devoted to continuous, conscious, and unconscious learning, how will this knowledge influence our lives? As a start, we will know what drives people. For example, now we know what drives the little baby to crawl and discover. It encourages some people to dream, travel and to explore. It is also the reason why our elderly are fixated on their televisions, and our teenagers are caught in online gaming worlds, pursuing the one elusive objective after the other. It is why mankind stares hypnotized at electronic screens concerned about the state of social affairs thousands of disconnected miles away, while unaware of the names of their neighbours, barman or barista. If you capture the attention of a curious mind, you can direct it and effectively control the person. Fortunately, with our learning instinct comes a failsafe switch in the form of self-awareness and reflection. Instead of being “mindlessly” controlled through stimulus and response, we can reflect on the outcomes of our learning and then potentially direct it. We can steer our drive towards something we appreciate and consider valuable. We do it through filtering and focus. By deciding what gets our attention and what to ignore we direct our learning. In this decision lies the single key that unlocks meaningful and happy lives. If you are searching for more meaning and purpose in your life, all you have to do is choose or change your focus. Seek learning opportunities with a feedback loop in a context that you consider valuable. Your focus inevitably creates your reality. If you like it. Keep doing it. If you don’t change your focus. In the case of The Lekker Shop, they devote their focus, attention and maker efforts to not only recreating something special from their homeland - South Africa. Their focus is to make it even better than back home. We think they are on to something. They have lekker wors! During our impromptu visit before Christmas 2018, it felt like we came home. 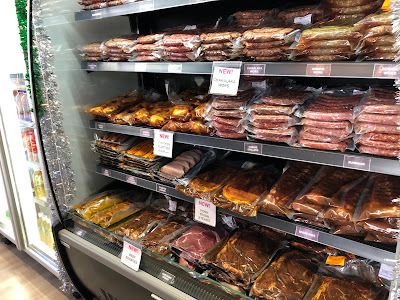 We were instantly transferred to our favourite Kuka Shop and Butchery in the Bushveld. 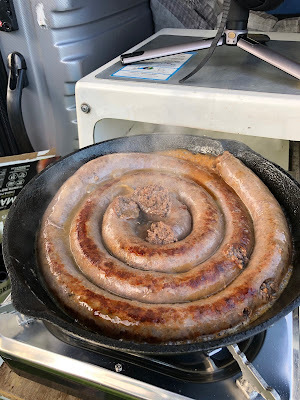 Thick Boerewors was waiting in the cooler and fresh Droëwors and Koeksisters in the fridge. Within minutes we were old friends. If we had Gemmerbier, we would have shared a bottle and put a vleisie on the braai. 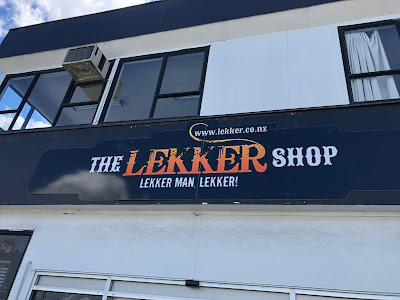 The Lekker Shop is a South African shop and butcher in Hamilton, New Zealand. 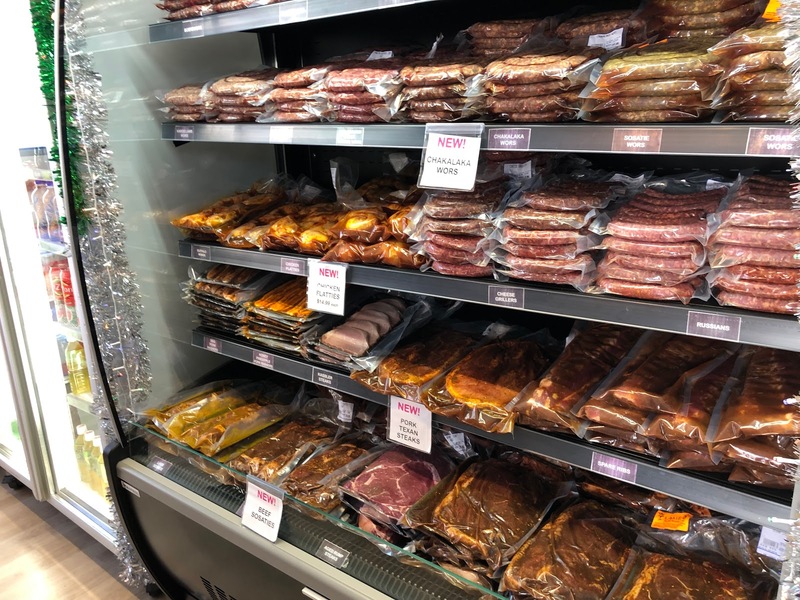 They call themselves the home of Lekker Biltong, Boerewors, and much, much more! Facebook calls it an "Ethnic Grocery Store". We call it "our store" because they brought a bit of South Africa to us when we were away from the continent. Lekker Man! What stands out for us during our visit was the range and quality of products. One thing was more obvious than anything - they are proud of what they do! Remember, people that make things are good at what they do for two simple reasons. They like and value what they do, and they are constantly working towards bettering it. Now, if only we can convince them to tell us their secret to the Lekker Wors - it will save us a trip from Canada to get our fix. On the other hand, maybe we don't want to know. It will give us ample reason to make another visit to our friends at the Lekker Shop!